Yes, it’s me. Marc Hershon. Your host and docent for Epi113 of Succotash, the Comedy Podcast Podcast. We’re back with a Succotash Clips installment, thanks largely to the efforts of our Associate Producer Tyson Saner, not to mention the savvy comedy podcasters who have uploaded their own clips directly to us via our upload link, which is http://hightail.com/u/succotash. Coming up, clipwise, this show we have Cardboard, The Chillpak Hollywood Hour / Am I Right, Ladies?, The Magic Tavern, Radio Dan, the Talk Blocked podcast, The Mo Show, Wampa Stampa, and the We Are Not Alone podcast. We also are featuring a double dose of our Burst O’ Durst segment with our resident political comedian and social commentator Will Durst - and he lavishes his vitriol on Donald Trump, and the TweetSack. We not only have a classic Henderson's Pants commercial this episode, but we've got an additional sponsor and a commercial from Empire State Gas, the patron for Chillpak Hollywood. Before I get to all that stuff, just a couple of mentions for stuff going on where I’ll be appearing live this September. I’ve been asked to host the TedX Marin Talk 2015 in San Rafael. There’s an amazing lineup of inspirational, informative speakers lined up and, somehow, me. That’s going to be on Thursday evening, September 17th — click the link for more info. Directly after that – and I do mean directly – I’ll be down south for the 4th Annual Los Angeles Podcast Festival, September 18-20. I’m going to do my best to nail down a spot in the SquareSpace Podcast Lab and interview folks passing through. This time, I’ll try to post everything while I’m there so I don’t end up with a humungous backlog of interviews that take months to unspool. I STILL haven’t gotten to all the ones I did last year. Shameful. You don’t have to be a podcaster to come by and watch some of your favorite podcasts happening live that weekend. And me. Not officially a part of the podfest but so what? 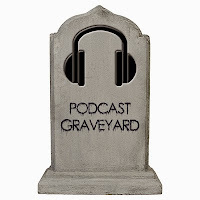 This episode's exhumed podcast The Evil Teddy Bear Podcast, hacked out of its eternal rest by Tyson. Hosted by Korey Epps and Mike Capps, I was disappointed to learn that it had gone "off mic" this past April. The clip we have is from two episodes before their last one, with guest Will Harrison, in an episode entitled The @Unheard Nerd Strikes Again. Chillpak Hollywood Hour / Am I Right, Ladies? We have a sneak preview of sorts from a new podcast. If you caught Epi112 last time, I interviewed Phil Leirness of the Chillpak Hollywood Hour and Lily Holleman, who will be co-hosting a new spinoff show from Chillpak, entitled Am I Right, Ladies? That show features Lily and comedian/actor Karen Forman and will be kicking off…soon, was the best answer I’ve gotten out of them. But a couple of weeks ago they did their last stint filling in for Phil and the southward-traveling Dean Haglund, who has moved to Australia. It's not only seems like a great example of two smart women hosting a podcast, which will be largely about smart women, but they also – in the grand tradition of Chillpak, mentioned me. 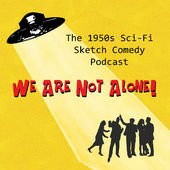 Mocean Melvin and a big cast of voice actors Unabashedly, I’ve got a soft spot for well-produced sketch comedy podcasts. And I’ve been turned onto a new one – The Mo Show, starring voiceover performer Mocean Melvin and a crew of funny, talented voice actors out of Los Angeles. BTW, about a week ago or so, The Mo Show decided to honor us on Twitter by proclaiming us the Best Show Named After a Food Containing Lima Beans! So thank you, Mo Show! Associate Producer Tyson Saner has harvested a bunch of clippage for today’s epi. 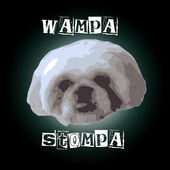 One of them is the Wampa Stompa podcast. It’s a newish show where the three co-hosts — Jon, Gus, and Candy – “talk about anything ranging from Star Wars to boxing to current events.” Seems like two rather specific topics followed by kind of anything goes. In this clip, from Wampa Stompa Epi8, the hosts speculate on everything shown in the Star Wars: The Force Awakens trailer. They also rank their top 3 Pixar films, along with what purely animated Disney films are their favorite. 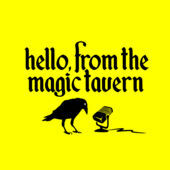 A couple of weeks ago I reviewed a podcast called Hello from The Magic Tavern for Splitsider.com and the Huffington Post. Now, there are a number of Dungeon & Dragon and other role playing podcasts floating around, like Nerd Poker with Brian Posehn and Friends over on Earwolf. But, as I mentioned in my review, this is the first one I’ve found where characters who might otherwise be heard adventuring are actually just hanging out in a tavern, actually recording a podcast rather than dungeon crawling or whatever. The set-up is that the main host, Arnie Neikamp, fell through a magical rift behind a Chicago area Bunger King into the mystical land of Foon. (No relation, as far as I know, to friend-of-Succotash Eric Furniss of the From Out Of Nowhere podcast, or as it is otherwise known, the FOONcast.) Anyway, Arnie has set up shop at the Vermilion Minotaur, AKA The Magic Tavern, with his co-hosts: The wizard Usidore, played by Matt Young, and Chunt the Changeling, voiced by Adal Rifai. In the clip we're featuring, from episode 19, their guest is someone near and dear to my heart, given my background in branding: Merlinda Flimpery (Irene Marquette), a Namer – a person who gives secret names to people so that no one can discover their power. This clip was provided directly from gents of the Talk Blocked podcast, who sent a download link into the Tweetsack, at clips@SuccotashShow.com. You can also upload your 3-5 minute clip directly to us at http://Hightail.com/u/succotash. Cody and Steve-O (NOT the same Steve-O from the Jackass movies) have put out about 20 episodes of their show now. Our clip comes from Epi18 and features their guest, Dr. Mike, an actual ER doc, talking about a young man who came in complaining of stomach pains. The diagnosis turned out to be a bit more graphic that one might suppose. We were talking role playing games a couple of clips ago. 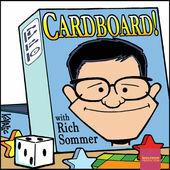 Now, thanks to Tyson, we’re switching to board games, with a clip from the Cardboard! podcast with host Rich Sommer. Billing himself as a “board game evangelist”, Sommer is known from his appearance on Mad Men. And, in fact, this clip features two of his castmates – Michael Gladis and Aaron Staton. Gladis has the host relate his favorite “chess photo” story in this segment. 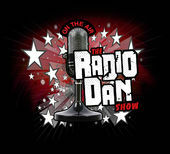 I got to know Dan Delgado, aka “Radio Dan”, of the Radio Dan Show, last year at the LA Podfest. We were both hunkered down in the Podcast Lab pretty much the whole time, so we got to talking, watching each other’s equipment when the other one wanted to take a break, you know – Brothers in Podcasting. Not sure if he’s making the trek out from Boca Raton, Florida, again this year, but he’d sent along a little…I’d guess you’d call it rant… about his unsung 40 years of sobriety, as he sees it. That's what's in store for your ears with Epi113 of Succotash Clip!. Thanks so much for the listen. We appreciate your patronage. If you’d like to help us to defray the cost of production on Succotash, feel free to visit our homesite, http://SuccotashShow.com, and click on the Donate button there. Or on the Amazon banner at the top of the page – everything you buy on that particular shopping trip gives us a time percentage. OR you can purch some merch through the Succotashery – t-shirts, mugs, all stort of gewgaws can be yours.